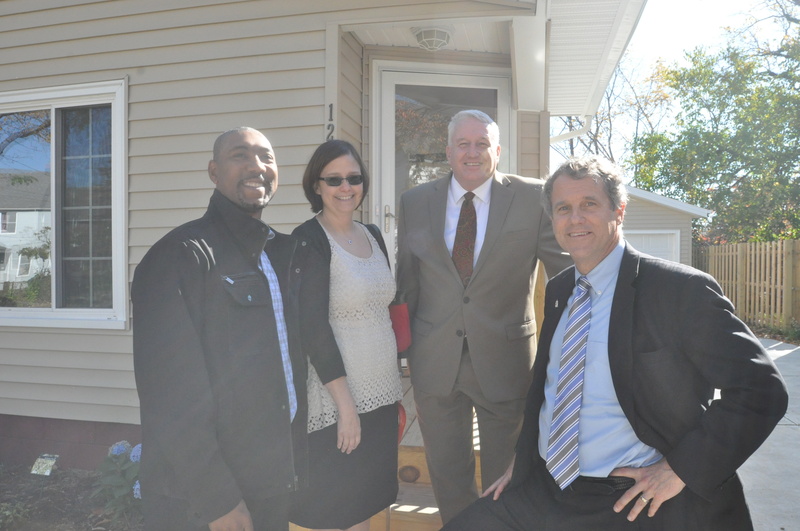 US Sen. Sherrod Brown joined Lakewood Mayor Michael Summers on Monday to celebrate the completion of the last of four houses that are part of a collaborative effort to improve the housing stock in the historic Birdtown neighborhood. The 114-year-old home at 12217 Plover Street had been run-down and vacant for more than two years, before the city purchased it last year, using federal Community Development Block Grants and HOME funding. This project is one of four — all in Birdtown — in which the city has purchased, renovated and sold to help improve the neighborhood. 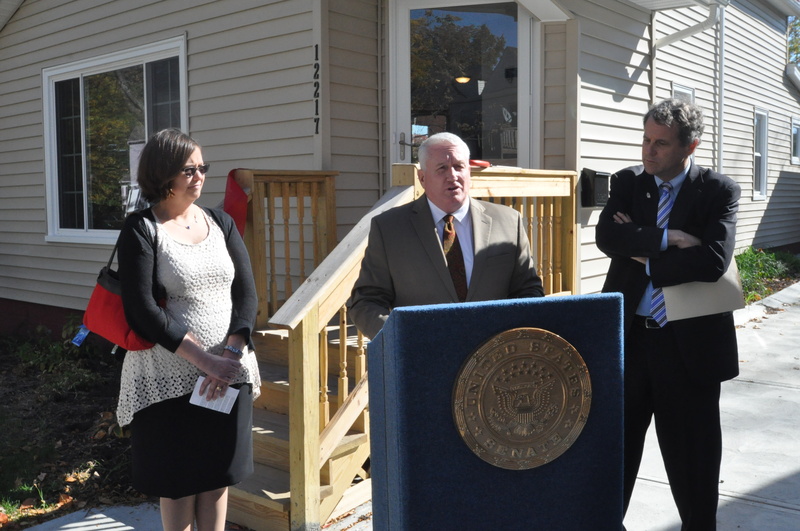 During the past three years, the city has successfully acquired, rehabilitated and sold 10 homes to new Lakewood families. That includes two new-construction projects. 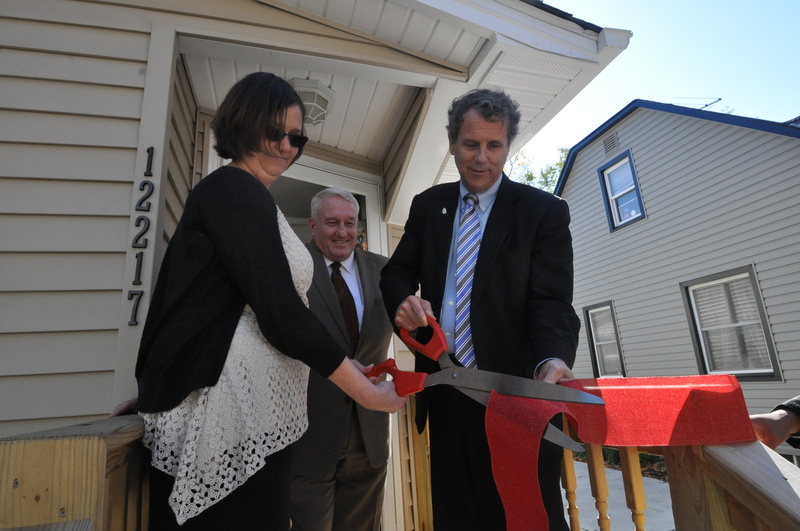 The home at 12217 Plover Street is one of four such investments in the Birdtown Neighborhood. The others are located at 2126 Quail; 2070 Dowd; and 2147 Dowd. “This is part of our city’s proactive housing strategy,” said Mary Leigh, the city’s programs manager in the department of community development. “These federal funds allow us to intervene in the market where we can have the highest impact.